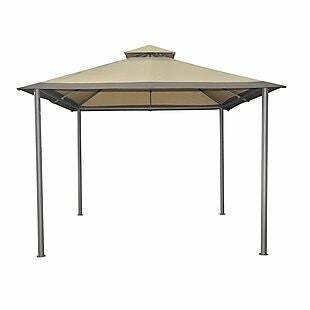 This Mainstays Savvi 10' x 10' Gazebo is $108.52 at Walmart.com. Plus shipping is free. Even though there is no advertised price drop, it was previously $190 and similar ones are at least $40 more. It doesn't require any tools for assembly. Sales tax is charged in most states. 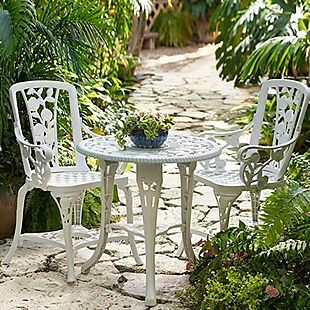 This selection of patio furniture is up to 38% off at HomeDepot.com. Plus delivery is free on most items. 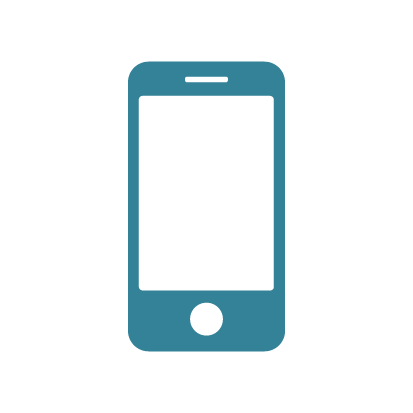 Otherwise, you can ship to your local store for free pickup to avoid a shipping fee. There are over 500 items available. 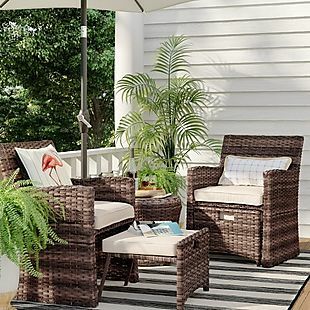 This Hampton Bay Statesville 5pc Padded Sling Patio Dining Set drops from $599 to $449 shipped. This is the best price we found by $51 based on something similar. 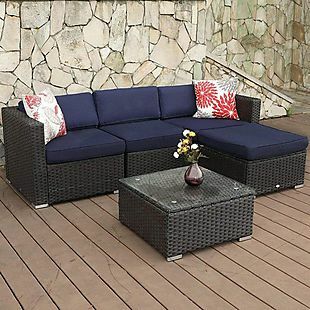 Check out the pictured Hampton Bay Riley 3pc Metal Outdoor Sectional Set, which drops from $799 to $499 shipped, a savings of 38%. Similar sets cost around $100 more. Sales tax is charged in most states. This 6-Pack of Red Glass Table Torches, originally $80.88, is on sale for $34.99 at DooDahDeals.com. Shipping is free. We couldn't find this deal anywhere else as a 6-pack, but these are priced elsewhere starting at $13 each. Sales tax is charged in most states. This 5-Piece Patio Sectional Sofa Set, originally $599.99, is on sale for $485.99 at Alphamarts.com. Shipping is free. This is the best price we found by $24. Sales tax is charged in most states. 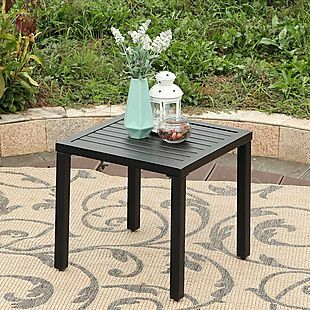 This Metal Patio Side Table, originally $89.99, is on sale for $50.99 at Alphamarts.com. Shipping is free. This is the best price we found by $9. Sales tax is charged in most states. 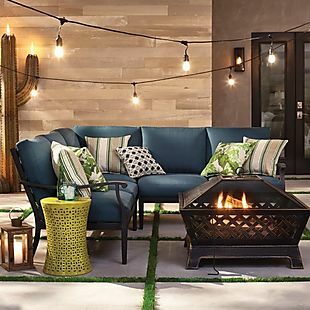 Get an extra 15% off select patio lighting when you apply the code APRIL in your cart at Target.com. In-store pickup is free. Shipping is free on orders over $35. Otherwise, it adds $5.99. 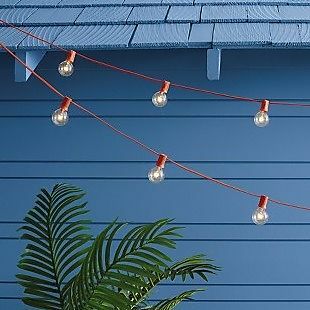 The promotion includes these String Lights, which list at $11.99 and were already on sale for $11.39. They fall to $9.69 with the code. They're only available at Target. Sales tax is charged in most states. 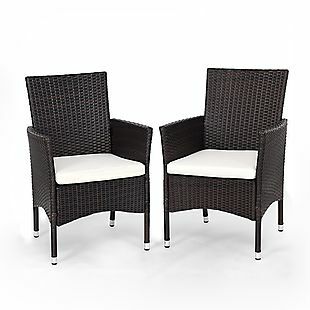 This 3-Piece Outdoor Patio Chair Set falls from $165.99 to $112.32 at Wayfair.com. Plus it ships free. 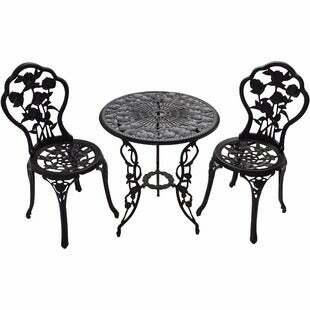 We found comparable patio sets priced for up to $50 more at other retailers! Included is two matching chairs and one table. Each is water-resistant and UV-resistant to prevent fading. This set scored an average of 4.2 out of 5 stars from over 400 reviewers. Sales tax is charged in most states. Originally $29, this 3-Piece BBQ Accessory Set drops to $9 when you apply our exclusive code BD1 at checkout at Daily Sale. Plus it ships free. That's $5 less than the next best price we could find. The set includes one set of meat claws, silicone oven gloves, and a sauce brush. 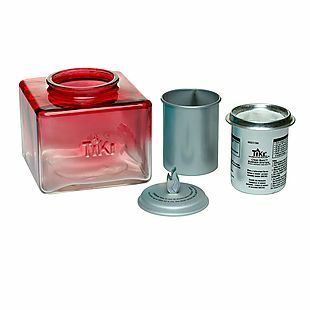 Each is designed to handle extreme cooking temperatures and is made from FDA-approved materials. There is no sales tax (except FL). 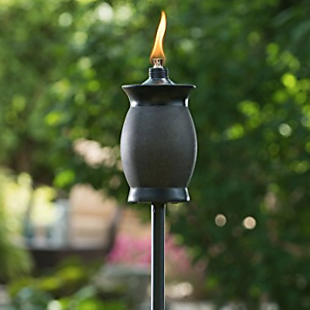 Exclusively for our readers, this 4-Pack of Tiki Torches drops from $60 to $45 to $39.15 at Deal Genius when you enter our code BRADSPRING at checkout. All orders ship for free. This is the lowest price we found by $5. You can also get a 2-pack with our code for $25.23. 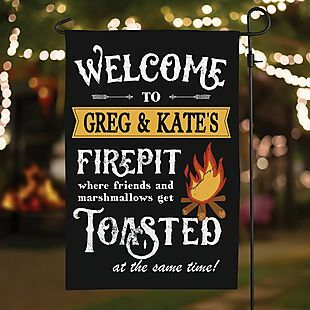 These torches include adjustable poles that stand at 64" fully extended. You can also use them without the poles on a tabletop. Fuel is not included. Sales tax is charged in most states. 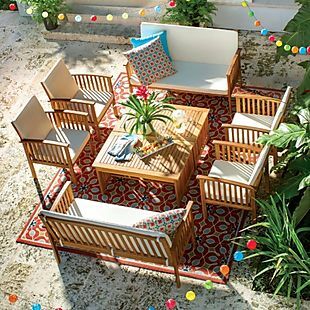 This 8-Piece Safira Acacia Wood Cushioned Patio Set in the pictured color, listed at over $1,070, drops to $668.99 at Wayfair.com. Plus shipping is free. That's the lowest price we found by $100. The set includes four armchairs and two sofas with beige cushions. It also comes with two tables which can be pushed together for a larger surface. Check out the excellent reviews, with over 1,500 Wayfair customers giving this set an average rating of 4.6 out of 5 stars! Sales tax is charged in most states. 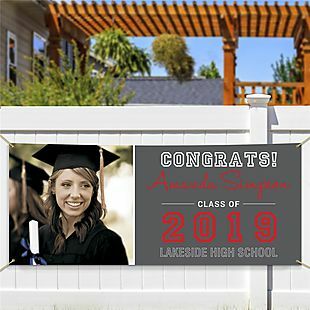 Exclusively for our readers, select Personalized Garden Flags drop from $17.95-$19.95 to $6.99 when you add the code BD19GF1 at checkout at Personalized Planet. Plus this drops shipping to $4.99, which saves $1 in fees. You can choose from more than 150 different styles. They measure 12" x 17" and are made of polyester. Sales tax is charged in most states. 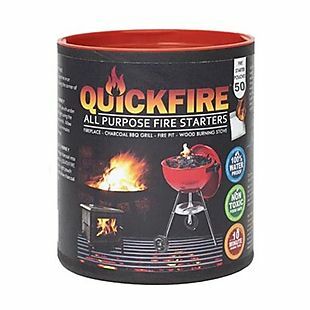 These All-Purpose Firestarters (50-count), originally $29.99, falls to $15 when you enter code FIRESALE during checkout at QuickFire. Shipping adds $1.99. This is the best price we found by $11. These firestarters burn for 10 minutes. 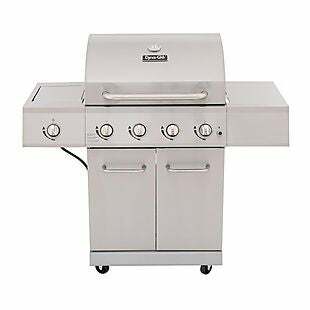 They work on multiple outlets such as barbecue grills, fire pits, wood-burning stoves, and more. Sales tax is charged in most states. 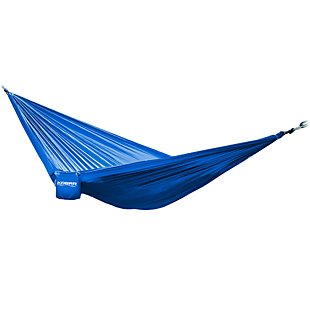 Exclusively for our readers, this Parachute Hammock, originally listed at over $25, drops to $12.99 and then to $11.99 when you apply our promo code BDKOB-AFS at checkout at Until Gone. You can save even more when getting the two-pack for $23.99 or the three-pack for $33.99 after using the code. This is the lowest price we've seen in over a year on a similar hammock. It comes with a carrying case, rope, and two carabiners. Sales tax is charged in most states. 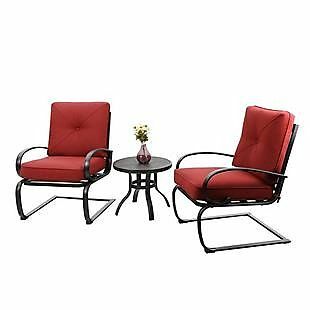 This set of Two Patio Chairs lists at $134.99 and was already on sale for $107.95, but you can get it for $97.15 when you apply our exclusive code BRADS2019APR during checkout at Costway. Shipping is free. That's the best price we can find anywhere by about $13. The set also includes cushions. Sales tax is charged in most states. 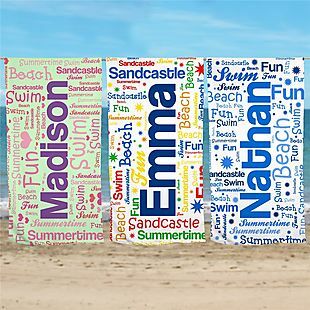 Exclusively for our readers, these Personalized Beach Towels drop from $29.98-$31.98 to $18 when you enter the code BDMYBCHTWL at checkout at Gifts for You Now. Plus this code drops shipping to a flat $6, which saves more than $2 in fees. Choose from more than 50 towels in a variety of colors, and personalize them for free. Sales tax is charged in most states. 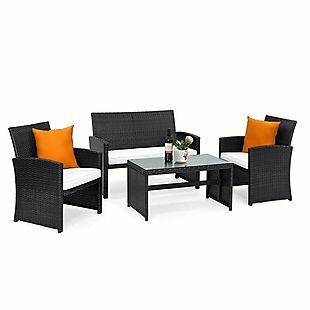 This Phi Villa 3pc Outdoor Lounge Set from Alphamarts.com drops from $399.99 to $272.99. This is the best price we can find by $32. Plus shipping is free. The set includes two cushioned chairs that can hold up to 300 pounds each and one 18" high table. It's available in the colors red and beige. Sales tax is charged in most states. This Electronic Mosquito and Bug Zapper, on sale for $24.99, drops another $1 when you apply our exclusive coupon code BD491 at checkout at Until Gone. Plus it ships for free. This ties with the lowest price we've ever seen, and it's a current price low by at least $8. 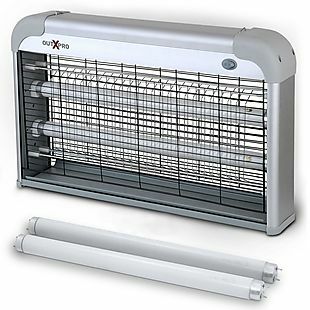 The zapper attracts flying insects by emitting UV light, and the electronic grid instantly kills the bugs. It comes with two replacement bulbs. Sales tax is charged in most states. 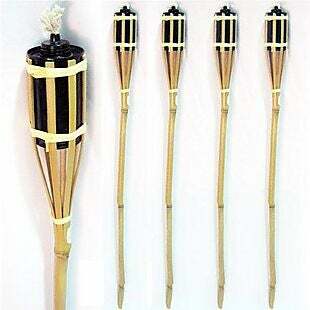 This 4-Pack Bamboo Outdoor Tiki Torch, originally $59.99, drops from $20.99 to $19.99 when you use our exclusive promo code BD4103-AFS during checkout at Until Gone. Shipping is free. This is the lowest price based on similar styles by at least $15. The 3-foot high torches feature clear fuel canisters and have weather-resistant metal frame guards. Sales tax is charged in most states. 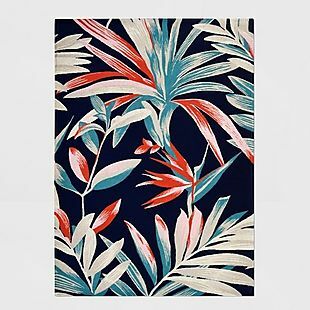 Exclusively for our readers, check out these novelty doormats on sale for as low as $25.60 when you apply code BRADS20 at checkout at Matsy.com. 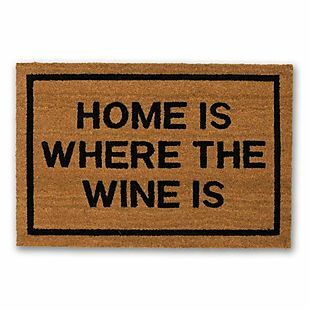 For example, this Home Is Where The Wine Is Doormat drops from $32 to $25.60 with the code. Plus shipping is free. We found a doormat with the same phrase priced for $4 more at a different retailer. The mat measures 30" x 20" x 0.5". Sales tax is charged in most states. 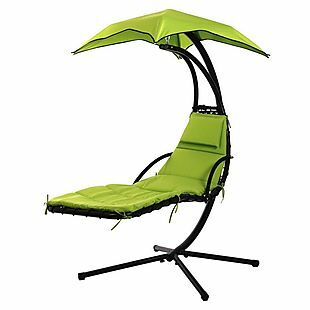 This Hanging Chaise Lounge Chair with Canopy, listed at over $200, drops from $129.99 to $126.99 when you add our exclusive coupon code BDOAB4102 during checkout at Until Gone. Plus shipping is free. This is the lowest price we found by at least $13, and most major retailers are charging over $170. Compare at Target.com and Walmart.com. 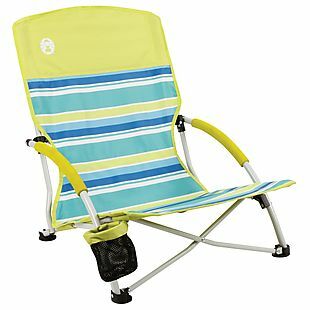 The lounger features a removable 46" umbrella, 2" foam-filled cushions, and a built-in pillow. 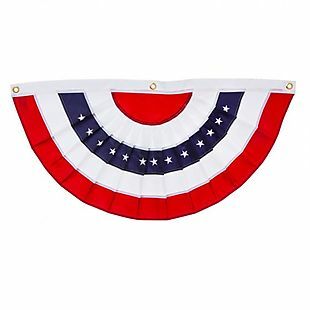 It is available in three colors and can accommodate up to 250 pounds. 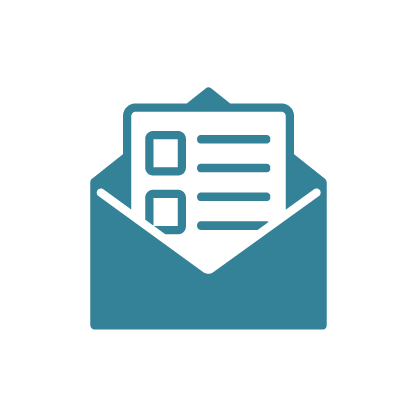 Sales tax is charged in some states. 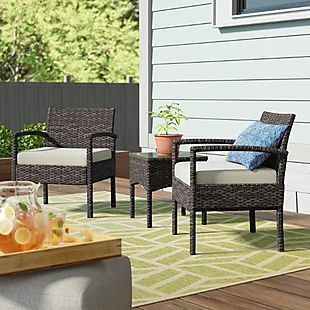 This 4-Piece Patio Chat Set lists at $271.99 and was already on sale for $216.95, but you can get it for $199.95 when you apply our exclusive code BRADSHW49859 during checkout at Costway. Shipping is free. That's the best price we can find anywhere by about $10. The set includes two chairs, a sofa, and a coffee table. The cushions are included. There's no sales tax (except CA). 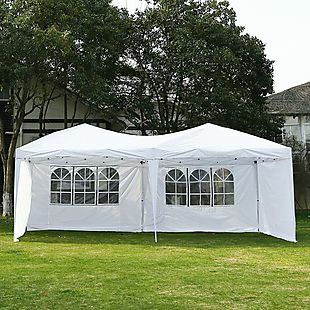 Exclusively for our readers, this 10' x 20' Instant Pop-Up Canopy with Removable Side Walls, originally listed at $199.95, drops from $104.99 to $99.99 at Until Gone when you enter our code BDOAB4103 at checkout. Plus it ships for free. That's the lowest price anywhere by at least $5, and most sites are charging over $135 for a similar tent. This canopy features a two-position height adjustment which allows you to lower it when it gets windy or the sun is setting. It comes with two removable window-panel sidewalls, two side walls, and a carrying case. Sales tax is charged in most states.